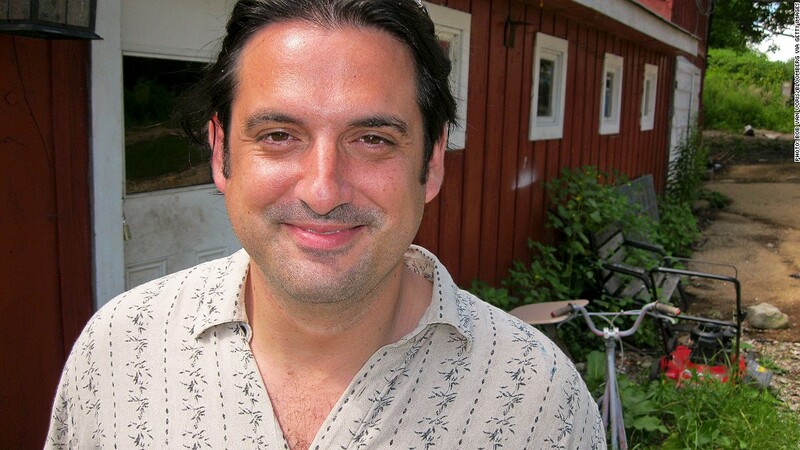 Paul Ceglia, the man who claims to own half of Facebook, says his life is at risk. Ceglia has been on the run for more than a year following federal charges that he tried to defraud Facebook (FB). Now, Ceglia has resurfaced to explain why he became a fugitive: someone wants him dead, so he says. "I felt I had no one in government I could trust," Ceglia wrote in an email to Bloomberg. "An opportunity presented itself, so I MacGyver'd some things together and started running for my life." His location remains unknown. In an email to Bloomberg, Ceglia said that he is "far from U.S. soil to be sure." Vanessa Chan, a spokesperson for Facebook, declined to comment on the report. Paul Ceglia was arrested in 2012 and charged with perpetuating a "multi-billion dollar scheme" to defraud Facebook. The bizarre saga began six years ago when Ceglia filed a lawsuit in New York which stated he paid Facebook founder Mark Zuckerberg to build a website similar to what ultimately became Facebook. The lawsuit says they agreed to split the company 50-50. Ceglia originally claimed to have a business contract and emails with Zuckerberg to support the accusations. But government investigators later determined the contract made no mention of Facebook and the emails did not exist. Ceglia was arrested in 2012 and charged with perpetuating a "multi-billion dollar scheme" to defraud Facebook and Zuckerberg, using "doctored, fabricated, and destroyed evidence to support his false claim." The charges, including one count of mail fraud and one count of wire fraud, carried a combined maximum sentence of 40 years in prison. In early 2015, two months before he was scheduled to go on trial, Ceglia snapped off his ankle bracelet and disappeared -- along with his wife and two children. Even while on the run, Ceglia hoped to revive the old case against Zuckerberg and Facebook. An appeals court struck down his request in April, 2015, calling Ceglia "an individual who has repeatedly demonstrated total disregard for our judicial system."